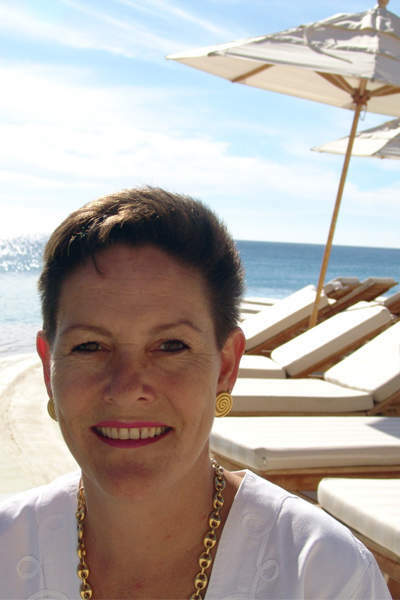 Veteran hotelier Ella Messerli welcomes many a private jet traveler to the Marquis Los Cabos Beach, Golf, Spa & Casitas Resort, where she is general manager. And as VP of Marketing for the Los Cabos Convention and Visitors Bureau, she draws discriminating travelers to discover the best aspects of the entire destination. Ella began her career with the Westin Camino Real Hotel in Mexico City, and has worked for industry leaders such as Las Brisas, Mandarin Oriental and Inter-Continental in the United States and Latin America. She has also served on travel industry boards that boost tourism to all of Mexico. Her favorite place on earth saw business fall off in the face of the influenza A (H1N1) virus this spring. As the threat faded, she talked with Elite Traveler about how Los Cabos will attract its high-flying clients back, why the Hollywood set flocked there in the first place, and how she discovers the wonders in her own backyard. ET: You career in luxury travel seems to have taken you straight to paradise. What has been a formative event, or individual, along the way to help you get there? Ella Messerli: Luxury is definitely something you learn to appreciate. A gentleman who brought me to Mexico is Jean Bertolu, godfather of all hoteliers in Mexico, a Frenchman who arrived 50 years ago. He was the kind of person who would return a report with a note saying, “You forgot a comma, please re-do everything.” Everything had to be perfect from every angle. He taught me at Camino Real, when I arrived. He later became CEO of Camino Real hotels. 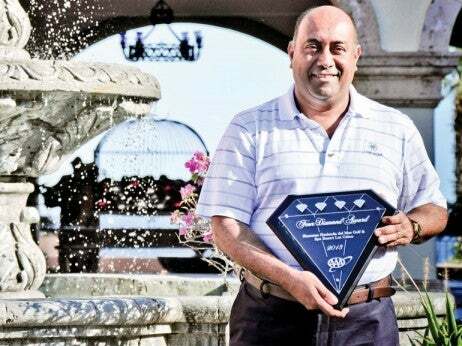 He was also the gentleman who brought the Clefs d’Or concierge association to Mexico, and the Chaine des Rotisseurs food association. These are things that brought benchmarks of quality into the country. Whenever you listened to him, he taught you a lot about luxury. ET: Have you always lived and worked in Mexico? Ella Messerli: I left for two-and-a-half years to open the Westin in Washington, DC, in 1985. It was an excellent experience because it was another luxury hotel that catered to White House and visiting dignitaries. But I missed Mexico, and I came back. ET: And which part of Mexico has been your favorite posting? Ella Messerli: My favorite is where I am now. Enjoy the moment; that is what you have to do in life. ET: You wear multiple hats, and one is General Manager of the luxury resort Marquis Los Cabos. Are there any changes underway there? Ella Messerli: Apart from the fact that we are empty? The hotel just celebrated its sixth anniversary. We are offering new vacation programs, but have not done any new construction because the hotel is in perfect shape. For summer, we launched a “Hotel with a Heart” package. Marquis Los Cabos just got a write-up in National Geographic about how we give back to employees, and in a sense we take some monies from our revenue to train our people. Every year we sponsor 20 people to go through school. National Geographic picked up on that. So we transformed the concept into a package for travelers. When you come, you get two for one pricing. So, in the same way we give back to employees to get through school, we decided to give our guests something back–two rooms for the price of one with an upgrade to casita accommodations. The package is available until Sept. 30. ET: How is all of Los Cabos wooing luxury travelers back? Ella Messerli: Tomorrow, all the hoteliers are meeting to hit the pavement running with destination promotions. Los Cabos is a very aspirational destination. The Hollywood crowd is famous for coming here. But, everyone will be surprised by a whole slew of different promotions, free nights, free transportation, free spa treatments, and other amenities like that. We are trying to get one promotion for the whole destination. Now, when you go into www.visitloscabos.travel, you’ll already find a slew of promotions that you’ve never seen before in Los Cabos. Incredible values are available now, and it’s a unique opportunity. For those who have had Cabo on their wish list, this summer will be the time to see it, with extraordinary value. There are no crowds; the recession really got us. So now is a unique opportunity to see how it used to be. The beaches are pristine and beautiful, and you can have a Jack Nicholas golf course all to yourself. Space is a luxury and that’s what we have here! ET: The tarmacs around Los Cabos are often filled with private jets. What is so appealing about the destination for the jet-set traveler? Ella Messerli: For those who always come, they are nwo coming with less frequency, so there are fewer jets on the tarmac now. But, those who know Los Cabos are still coming. So I think the elite travelers who always got the one-bedroom suite may now be able to get the two-bedroom suite and do more spa treatments. I think these promotions will be very appreciated by the elite traveler. They should just go down and enjoy Los Cabos, because there is something to say about it! When you are here, it is such an energizing and soothing experience. Just what the doctor recommends in this high stress time! ET: What is the status of the region’s luxury developments? Ella Messerli: The good news is, development is continuing. Several projects really stand out. One is Cabo Riviera, which is an hour’s drive north of San Jose. They are putting a marina and an 18-hole Pete Dye course in there, and the developers are also negotiating for a road that will run from the airport directly to the property. This mixed-use property will include a hotel, but they haven’t announced which one. Another project is Capella, which just opened in Ixtapa in December, and arrives in Los Cabos in July. That hotel will have 66 rooms, and be located in Cabo San Lucas on the Pacific side, so it will be gorgeous. And Chileno Bay has been in the works for two years, mainly focused on residential and golf. One of their golf courses is finished and it’s beautiful. It is in the corridor, on the way to San Jose. Also, Montage is under construction on the site of the former Twin Dolphin. And Quivira, on the Pacific side, is a residential community including a joint venture of Ritz-Carlton residences there. So there is upscale development in the works in Los Cabos and projects are continuing. ET: Are you seeing business bounce back yet? Ella Messerli: Phones are starting to ring again. There will be an enormous advertising and PR push, with support from the government, to kick start tourism. I think everyone is sick and tired of being sick and tired. They just want to take a break. With all the value programs set in place, now is a unique time to come. Once tourism comes back, you feel how Los Cabos is a very small and intimate destination. We only have 12,000 hotel rooms, so it fills up very quickly. ET: By all accounts, Los Cabos is now home to a significant number of the world’s best resorts. How did this happen, in such a small destination? Ella Messerli: The demand for luxury is there. Obviously Hollywood has been a big promoter of the destination, and they love how much privacy the hotels can offer, since the hotels are not stuck onto each other. Travelers can come in on a private jet, go directly to the One & Only, for example, and no one will know they are here. Because these over-the-top hotels have been so successful, they are always trying to outdo each other. They can’t remodel a hotel every year, so they get a competitive edge by adding new amenities and services. In the luxury market that’s what you compete with. They’ve all added different things, such as new spa services and services in well-being category. That’s what the people who here are seeking—to unwind. And what better way to do it. ET: How do you spend your own vacation? Ella Messerli: Everyone always asks me that! In the hotel world, one of the last places you want to go is back to work. Personally I’ve been driving around Baja, discovering private beaches, and seeing some of the history and culture in Baja. So I’ve been staying home for the last two summers. I live in paradise! So with my husband, I’ve been staying in Los Cabos and getting to do all of the things—like ATV rides and boat tours–you don’t have time when you are working. They pay me to be here! But I’ve traveled all over the world, and seen a lot of things. I would be curious to go back to China, since I went year the year of the Tiananmen and no one else was there. I stayed for a full month and it was incredible.